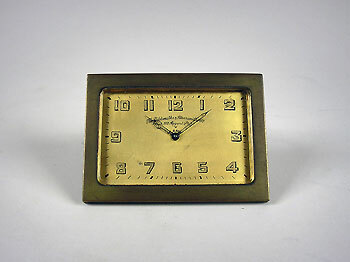 This is a small eight-day desk clock with a high quality Swiss lever movement. The clock is signed on the gilded dial: The Goldsmiths and Silversmiths Co. 112 Regent St. 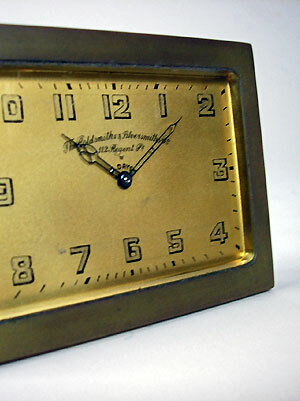 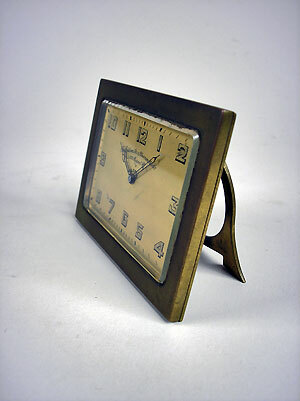 The clock has a brass frame with bevelled glass and is an art deco design.